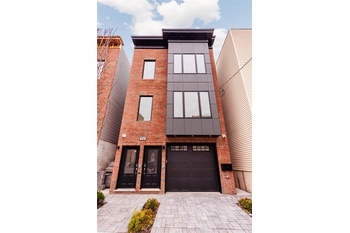 This beautiful, newly constructed 3 bed, 2 bath condominium with PRIVATE roof deck is situated in the heart of Jersey City Heights! 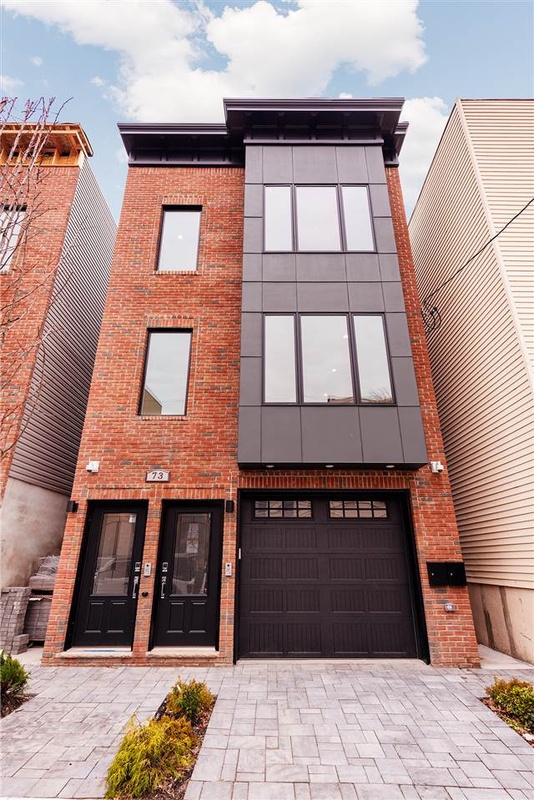 This spacious floor-through condominium features crown molding, 4.25" hardwood floors throughout, an open, gourmet chef’s kitchen and island with quartz countertops, Samsung appliances and wine fridge. The gorgeous spa-like baths boast sleek, modern tile, rain shower heads, multi jets and shower sprays. Pella windows bathe the open concept living and dining rooms with natural light. State-of-the-art amenities include surround sound in living room, key-less Schlage entry, security camera & video intercom *plus* outdoor speakers on your private roof top terrace — showcasing an incredible view of NYC and Journal Square. Close proximity to schools, restaurants and Washington Park (featuring playgrounds, track fields, baseball fields, and tennis courts) make this the ideal home inside and out.